Let's be honest, here - the thing that matters is whether or not a garage door opener app works, right? Everything else is secondary to this goal. That said, there's more to garage door opener apps than just opening and closing the door. In fact, the best apps offer a surprising variety of capabilities for their niche. Here are our top choices for apps. After some discussion, we settled on a few ways of sorting things. First, because this niche is so narrow, we decided not to sort them from best to worst. These apps open and close garage doors. There's only so much "better than others" you can add to that, even when adding other features. However, we did lean in favor of openers that can work with any door, since these are fundamentally more useful than openers tied to a specific brand or model. We didn't exclude brand-specific openers entirely, but they weren't valued as highly. We also favored apps and devices with additional features. Some of these are distinctly better than others, but any feature beyond open/close is a benefit over a basic opening system. How Do Garage Door Opener Apps Work? A garage door opener app requires a linked system capable of transmitting and receiving information from your smartphone or another device. Some garage door openers have these systems built in, especially if they're recent models, but older units may need to have the app's hardware manually installed. There's no such thing as a truly hardware-free opener, but if you don't want to install anything, it's best to ask a professional to put in a new, app-compatible garage door opener for you. Now that you know how we chose the apps, here are the best choices currently on the market. This garage door opener app requires a smart home, but it's easily our top choice if your home supports it. Major features include automatic opening and closing (based on distance or time), remote access, real-time notifications, and the ability to control up to three garage doors. GoGogate2 also uses IFTTT to let you set increasingly complex instructions for your home... and if all of that wasn't enough, it also comes with a camera that gives you live video footage of your garage door opening or closing. If it does either of those when it shouldn't, you'll have a record of anyone passing in and out. The price of this product varies based on the number of sensors you need. A basic one-door sensor is likely to run around $134, while a three-door system can go up to $204. We couldn't justify this price if it was only for opening and closing the garage door, but there's enough extra features and hardware for us to say the price is fair. That said, you may need a little expertise to install the system. GoGogate provides instructions for a wide selection of manufacturers and garage door openers on their website, but if yours isn't on the list, you may need to contact them directly. Chamberlain's MyQ is another smart home-focused app. That said, the real value of this system comes when you're willing to go all-in on their products. Aside from the app itself, Chamberlain sells compatible items like smart lighting to give you more control over your garage. It's fancy, but to be honest, we like it. If you get home late at night, the last thing you want to do is stumble around to turn all the lights off when you really just want to get to bed. A wholly integrated smart system can do things like keeping the lights just dim enough for you to see while you go inside, then shut them off a short time later. 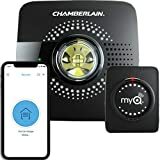 MyQ also provides activity alerts, allows you to control the garage door from anywhere (handy if family or friends need to get inside), and create specific schedules. The app itself is free, but some features require purchasing accessories or a subscription plan. GarageMate turns your smartphone or tablet into a universal remote control for your garage. Aside from working on multiple garages with the same app, it also provides password protection and a robust activity log so you can see what's been happening. 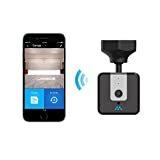 This app (and its device) are compatible with most garage door openers of the last few decades, aside from a few recent smart home models that have their own apps. This applies mainly to Chamberlain and Genie openers, but won't be a concern for most homeowners. The real value of this app, however, is its Bluetooth 4.0 connection. Since it doesn't use Wi-Fi, this app isn't vulnerable to internet outages or spotty coverage. If your net connection isn't as stable as you'd like, it's worth considering this device over much of the competition. Asante's garage door opener is an interesting system - and it has more functions than most of the competition. Of course, with a retail price ranging between $150 and $200, it should have more features. Major features include video streaming, granting and revoking access to anyone at any time (including contractors who may need access), and no subscription. 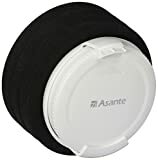 Unlike most video-supporting apps, Asante's hardware comes with an infrared night vision system so you can monitor your garage even when it's pitch black out. The NXG-100 is a little more complicated to install than most garage door opener apps - but that's not a bad thing. The device itself has a standard price of $100, and for the money, you'll get a system that connects to Amazon and Google assistants, works anywhere in the world, and even sends you reminders if you forgot to close the garage door. The big thing that sets this app apart is a feature currently in development. The Just Drive system is designed to automatically open or close your garage door when you're driving in or out. Its functions depend on the network environment, but the ultimate goal is to stop you from ever having to manually control your garage door. The Momentum Niro is a curious garage door opener. The Momentum app takes care of the actual opening and closing, but a few other features distinguish this $100 opener from the rest of the pack. First, this opener has a 720p high-resolution video feed you can access 24/7 - and you can even zoom in to get a better view of certain things. The flexible mounting system and 110-degree viewing angle mean it can be positioned anywhere in your garage and still provide an outstanding view. If you need to keep what you see, you can record video or take still pictures. As if that wasn't advanced enough, the Momentum Niro also has a two-way microphone and speaker system. If someone is working in your garage, they can hold things up to the camera and you can tell them exactly what you think. That said, it does run on a Wi-Fi connection - if you have spotty internet, this device won't be nearly as effective as it could be. Nortek's remote garage door opener is, by itself, a simple system - it doesn't really have app compatibility the way other products do, but that's not why it's on the list. Instead, this particular garage door opener uses Z-Wave to connect to a larger home network that you can control from a central system. This is ideal if you only have a few parts of a smart home network, rather than a complete integrated system. For example, you might also install a Z-Wave thermostat and lighting so you can adjust the temperature of your home and ensure the lights are on when you get back. In that sense, the GD00Z-4 is a DIY system. It's not particularly good all by itself, but when you add it to a more robust system, it can become part of an integrated network. The most valuable thing here is the connection to a central control app. It's always easier to have things in a unified system, and that's clearly better than having to control the lights, temperature, and so on separately. On the other hand, this really is more work than most of the other options on this list, so we hesitate to recommend this product (and its $85 price tag) over the other options on this list. 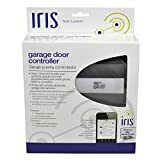 Another system that requires a bit of technical expertise, the Iris Universal Garage Door Internet Gateway is a $75 system that hooks up to most garage door openers and allows you to control them from your smartphone, tablet, or computer. It's really not a bad system, per se, but the compatibility limits stop it from being useful for most buyers, and the higher entry cost means we can't recommend it over most of the competition. Now that you know about the best apps and their associated systems, which of them is actually worth getting? Personally, we’re quite fond of the Chamberlain MyQ system. Aside from its robust capabilities, MyQ has partnerships with companies like Google, Apple, and Nest that help it create a fully integrated smart home. As if that wasn’t enough, MyQ also has some compatibility with vehicle systems like Alpine, allowing you to control your garage door without having to pull out your phone when you’re driving. It’s pretty hard to understate the value of that. If you have to wait until you’re parked in your driveway to control things, you might as well just buy a basic remote control and be done with it. GoGogate2​ is our second choice thanks to its robust IFTTT integration. Between the complex instructions and the video monitoring system, it’s a solid choice for most families. For pure convenience, though, we think the Momentum Niro is the best of the lot. 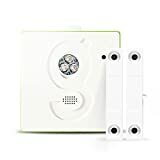 The high-resolution video, microphone, and built-in speakers are basically unique among garage door openers, and they offer a way to directly communicate with family or friends. We think this is better than calling someone on the phone because you can see what they’re doing and provide instructions if need be. Most garage door opener apps range from $75 to $200 for the full system. The apps themselves are usually free, but they require compatible hardware, and that's the main thing increasing costs. Unfortunately, there's no easy way to reduce the costs of a good remote opener. The best-case scenario is that you need to buy a new garage door opener because the old one finally broke. If that happens, you can buy a Chamberlain system and get automatic access to MyQ. You needed a garage door opener anyway, and the app is essentially a bonus them. Alternatively, you could buy a house that already has a system installed. This is more likely to be the case in new homes. Outside of that, expect to pay a fair bit for the system, so carefully consider the features of each option before you decide what to buy.